Rejoice Java junkies! 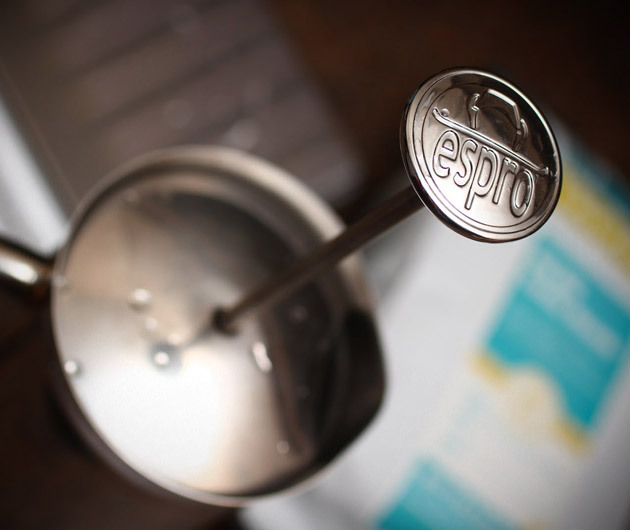 The Espro Press ($85), is a precision coffee brewer boasting a patent-pending two-stage micro-filter. Similar to a french press, The Espro Press preserves all the flavor and aroma of your favorite coffee while avoiding all those annoying little floaters, also known as sediment. Enjoy 30 ounces of rich, flavorful coffee without the grit!